Gossamer Obsessions: Fringe 1x05: "Power Hungry"
Joseph Meegar is just your average loser - with a nagging mother, a nagging boss, and a girl he crushes on who barely knows he exists. Um, he's also the type of creepy dude who takes pictures of his crush without her knowledge. When she finds his phone of creepshots and calls him on it while they're both riding an elevator, the elevator stops, squeals, and plummets 26 floors into the basement. Joseph, the only survivor, flees in horror. The Fringe Buddies are called to the aftermath. First weird clue - the cable didn't snap, instead, the elevator drove itself into the basement. Secondly, everyone in the car died from electrocution, not impact - and likely before the elevator even landed. This reminds Walter of research he did in the '70s to see if increasing a human being's electromagnetic field would make them easier for homing pigeons to find and deliver messages to. Broyles, however, is reminded of something more sinister - he warns Olivia that this looks like the work of Dr. Jacob Fisher, a criminal wanted in three countries for illegally experimenting on people under the guise of giving them free weight loss or hair growth treatments. Olivia, meanwhile, is still reeling from spotting her dead boyfriend John in her apartment the night before. At first she thinks it's just a stress-induced hallucination - until he appears before her at Harvard University, tells her he still loves her, and warns her to find Joseph before Dr. Fisher does. 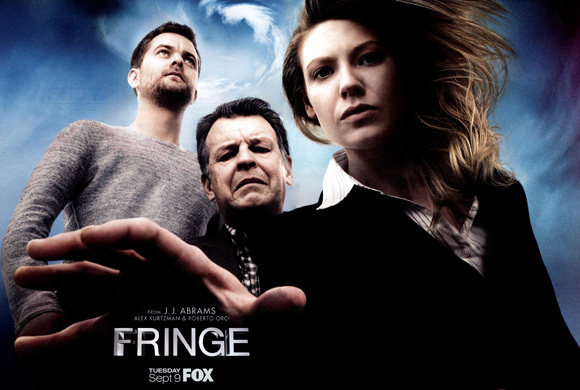 While Olivia and the Fringe Buddies work hard to track Joseph by his trail of accidental electricity-induced deaths and maimings (including sending his boss's arm into a re-animated shredder), they arrive at his apartment to find he's already been kidnapped by Dr. Fisher for further experimentation. Walter comes up with a typically Mad Science way to find him - after extracting Joseph's unique electromagnetic signature from a cassette tape left in the smashed elevator, Walter tricks a flock of GPS-tracked pigeons into recognizing that signature as due north and sets them free. The magnetized pigeons lead Olivia and Peter directly to Dr. Fisher's science lab. Dr. Fisher is arrested and Joseph is captured. Poor, unwitting Joseph just wants to go home, but Olivia realistically knows this won't happen for a while - not with Joseph's powers and his uncertain control over them. Thankfully Broyles uses the information in Dr. Fisher's lab to track down seven more human test subjects to test them before their powers emerge. Olivia finally gathers the courage to talk about her John-hallucinations with Walter. Walter explains this is likely a result of the psychic link she made with John back in the Pilot episode, and that these hallucinations are just the brain's way of working John's thoughts and memories out of her system. When she next spots John by the side of the road, he winds up leading her to something her own brain couldn't possibly have known about: a secret bunker containing John's private investigations into the Pattern. Oh, and a wedding ring. No biggie. Hey look, Cassette Tapes are Still Useful! Best Death Scene: Dr. Fisher's goon who's crushed by a car. This one's not for gore or shock value, but for how incredibly satisfying it is to see Joseph use his powers to drive a vehicle into one of the men who tormented him. Walter says that John's ghost is only Olivia's brain's way of expelling his remaining consciousness - but then how does he know things that Olivia doesn't? Who else has Dr. Jacob Fisher messed with?